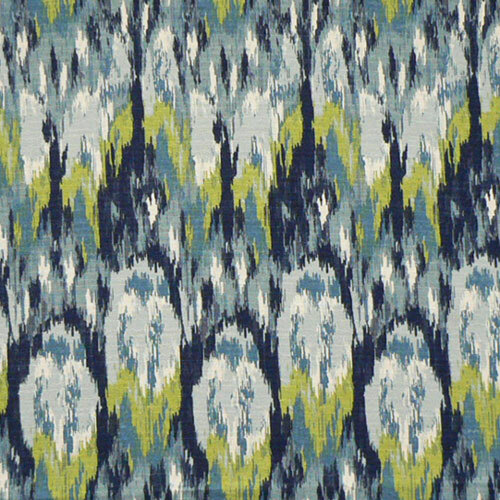 Contemporary ikat design in shades of blue and lime green on an ivory background. Medium weight fabric suitable for drapery, decorative pillow covers, shower curtains, headboards or upholstery. 100% Cotton Duck 9.8 oz.